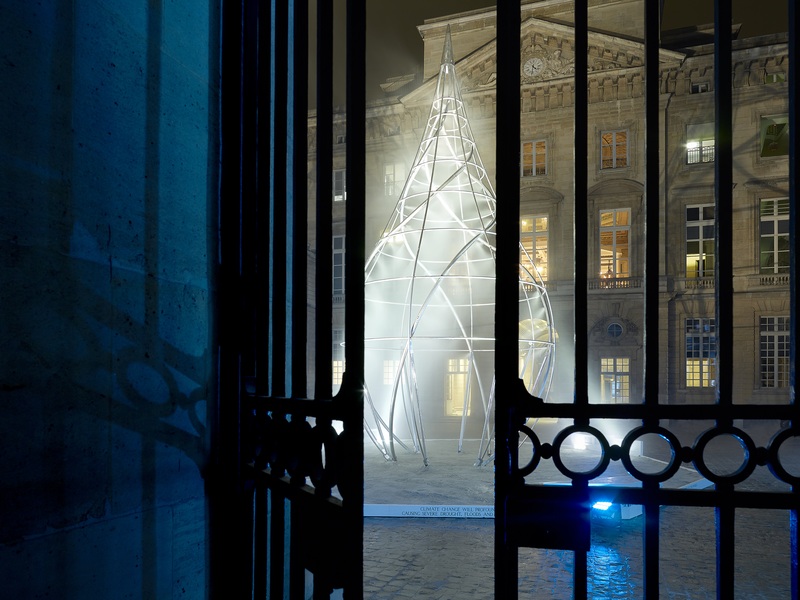 The Harmonist presents its environmental project, “The Droplet”, designed to highlight the urgency of issues relating to global warming and water scarcity and conservation. The installation’s inaugural showing is under way from 6 to 20 September at the AD INTERIEURS 2017 exhibition held at Monnaie de Paris. “How do we use water resources? How will global warming affect people’s lives in the near future? How can we change our approach to problems relating to water resources? Our project is designed to provide a platform for discussion on these issues of paramount importance for humanity. The philosophy behind “The Harmonist” is based on the study and careful treatment of the five elements that form the very basis of our existence and are building blocks of the world around us – fire, earth, metal, water and wood. With respect for the environment underpinning every nuance of our activity, we are embarking on a ten-year project dedicated to safeguarding each of these five elements. Water is an essential element of life. Up to 60 per cent of the human adult body is water, and every system in human body depends on water to function. The health of our planet’s ecosystems depends on that of our natural water resources. 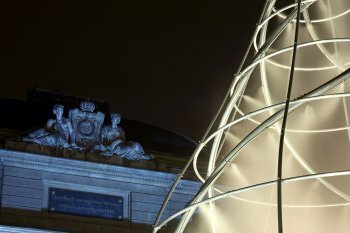 The art installation, designed in the shape of a falling water drop, was developed in collaboration with artist Marcus Lutyens. 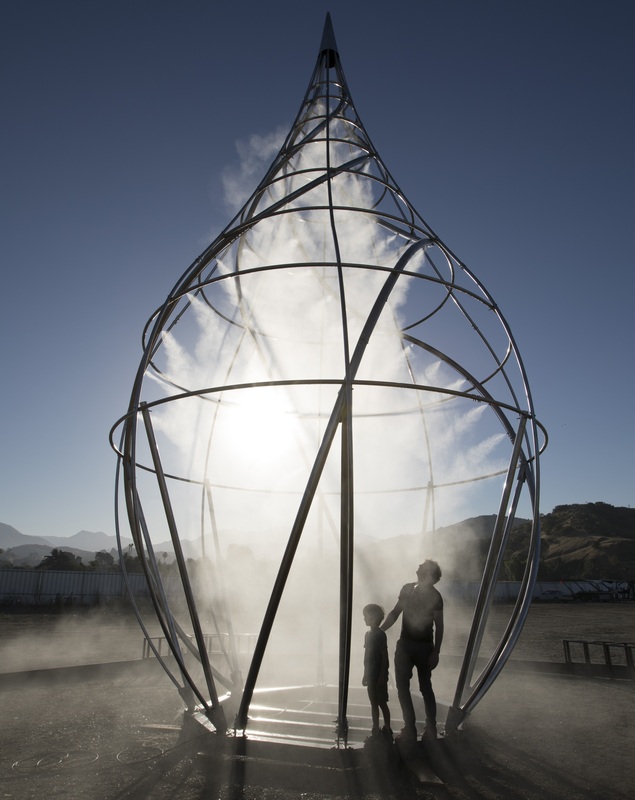 A multi-sensory experience, The Droplet will engage participants through sound, smell and touch, as well as by providing information on the current situation regarding global warming. I believe that art has an incredible capacity to inspire, encourage and unite people around a cause, due to its ability to touch the human soul. That is why we harness the power of art as a means to raise public awareness of issues relating to global warming and climate change. 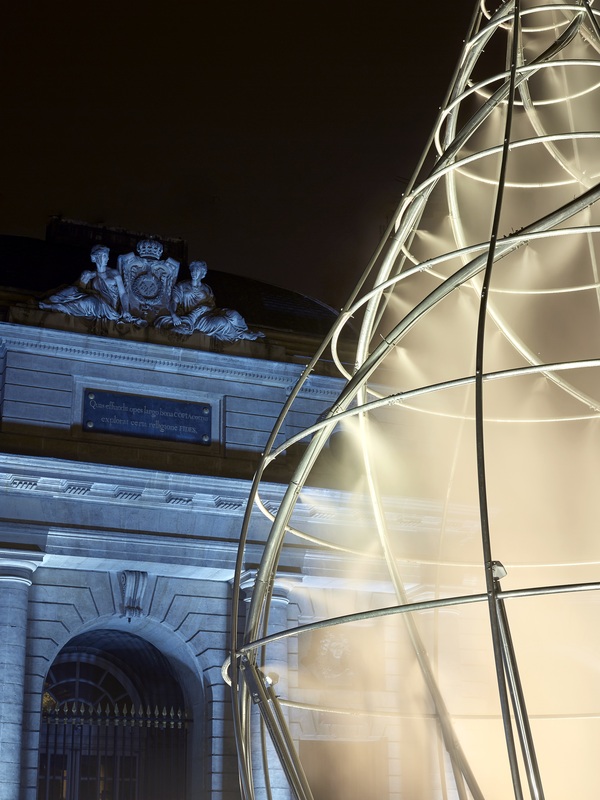 Built out of aluminium tubing, 12m high and 6m wide, The Droplet is a pavilion which will travel the world as a striking installation for conferences, performances and awareness-raising events spotlighting water issues of global concern. 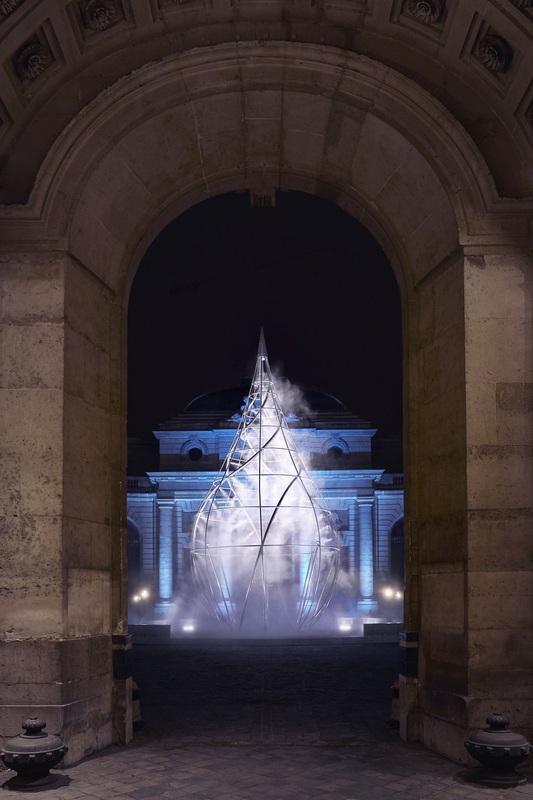 A multisensory experience, The Droplet will be specially tailored to reflect the historical role of water at each venue, bringing local water-related themes to the fore. By engaging the participants through sound, smell and touch as well as visually, The Droplet naturally opens the way for discussions on water conservation and management, a conversation further stimulated by pertinent, tactile quotes collected by alternative education high school students during interviews with some of the world’s leading climate scientists and experts in the study of water, including Peter Gleick, Omar Yaghi, Mat England, Richard Seager and Phil Jones. WHERE CAN I EXPERIENCE THE DROPLET? The Droplet will be exhibited in several prominent locations around the world, each chosen for its unique relation to water. 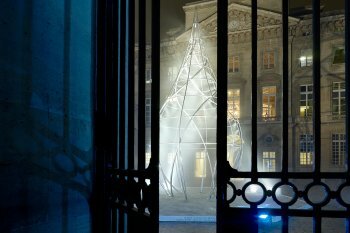 The pavilion will tour for two years, and was launched in Paris in September. The project is supported by The Harmonist, and was initiated by philanthropist Lola Karimova-Tillyaeva who has played an active role at every stage. The Institute for Art and Olfaction, which is committed to advancing public, artistic and experimental engagement with scent. 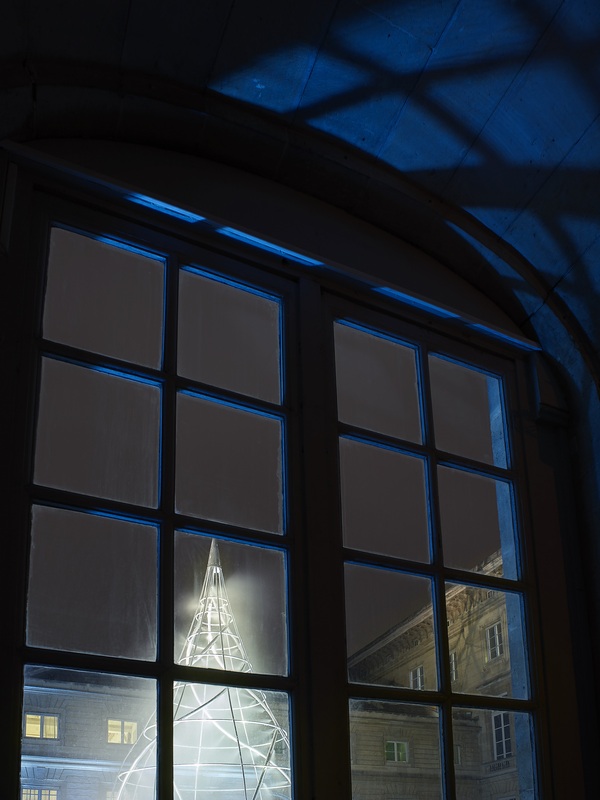 Thanks also to the Alberta Pane Gallery and Séverine Bader. As rising temperatures alter the earth’s climate system and pollution threatens our very existence, our planet’s health has taken centre stage on the global agenda. We must accept that turning a blind eye to this problem will trigger cataclysmic changes in the global climate and result in disruption of the global economy. When the elements which form the very foundation of our planet are in turmoil, each one of us, no matter where we live, is affected. If we do not take bold action and take care of the planet today, future generations will face a dire inheritance. As a mother of three, I am concerned not only for the health of our planet but for that of our children, too. 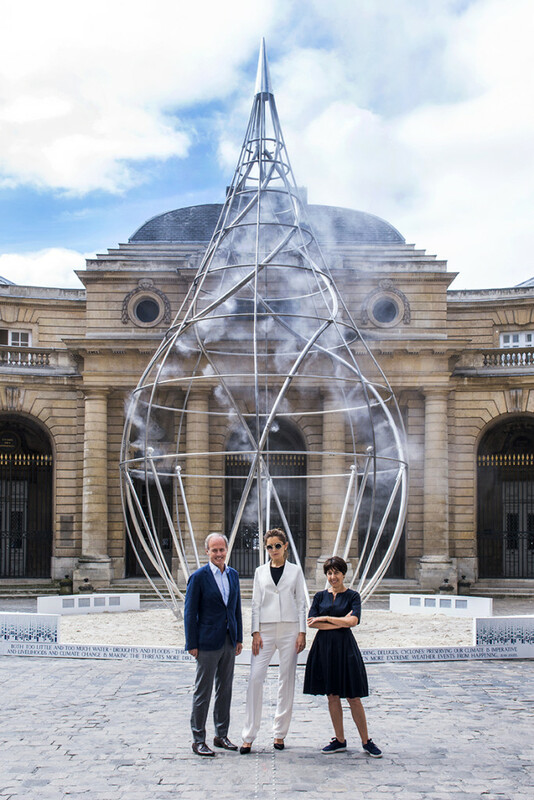 While there are many initiatives working towards hands-on solutions, I have decided to harness the power of art as a means to dispel misconceptions, to bring climate change issues to the forefront of people’s minds. 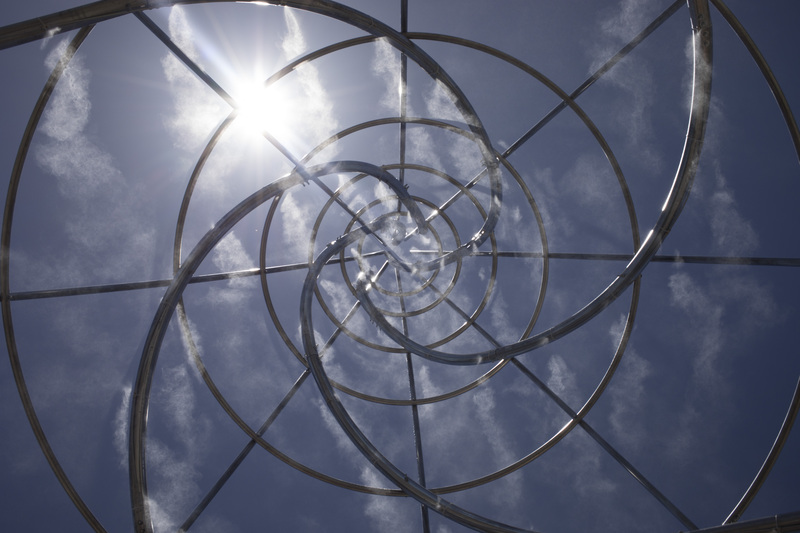 Art has an incredible capacity to inspire, encourage and unite people around a cause. It is a springboard for conversation. We have taken a single drop of water as our main visual image for this project. A droplet is so simple yet so exquisitely formed, a poignant symbol of the fragility of this most fundamental element. By using this as our central motif, we highlight the vital role water plays in all our ecosystems. As The Droplet embarks on its two-year journey, we shall use art as a platform to raise awareness and trigger open, international discussion not only on pressing water issues but on the far-reaching, potentially catastrophic consequences of climate change as a whole, inspiring those who visit The Droplet pavilion to become part of the solution in whatever way they are able. It is important to extend the notion of home beyond the boundaries of our own backyards. Our home is Planet Earth. To me, The Droplet is a visual synecdoche, for a single droplet represents the whole extent of water on this planet, both within our individual bodies and in the environment beyond us. Designed in the shape of a falling drop of water, the pavilion acts as a mirror to water concerns, not merely an intriguing venue but a vivid reminder of the urgent need to address all matters surrounding this most precious planetary resource, whether it be sea level rise, droughts and flooding, migrations and wars, or the collapse of ecosystems. To enhance this sense of urgency, The Droplet is a multisensory experience where visitors are stimulated particularly by SOUND, SMELL and TOUCH. 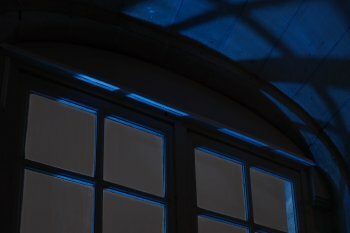 The dimensional SOUND design for each location is specifically tailored to the site, drawing on unusual water-related sounds and autochthonous voices. 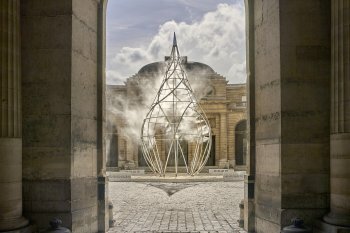 In the case of the inaugural location, Monnaie de Paris, for instance, the sound design follows the story of water as it has been used at the minting press here over the centuries, particularly in relation to the Industrial Revolution, in which the seeds of human-related climate change were sown. 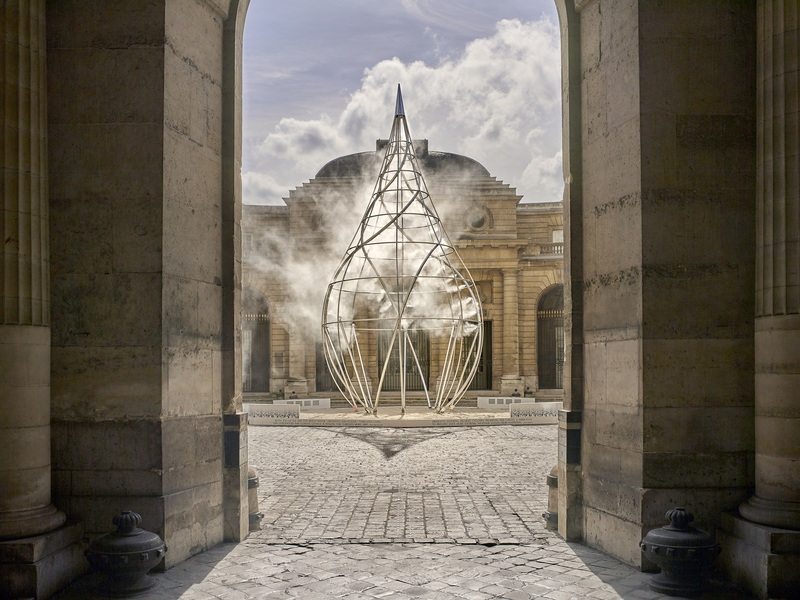 Thematically related SMELL will be shared with visitors, creating a subliminal and atavistic tie to the area and its own relationship to water. 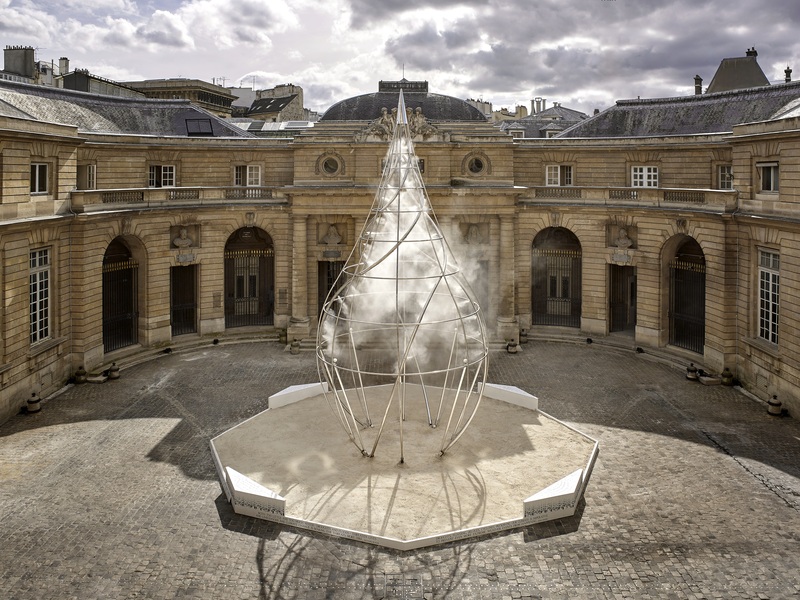 The sense of TOUCH emerges from a layer of mist that drifts around the boundaries of the pavilion, and which itself is defined by the shape of a water droplet. 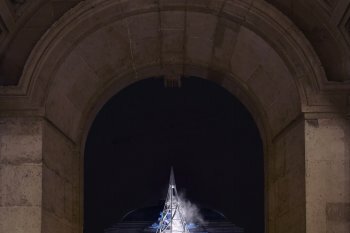 By engaging the senses and awakening an appreciation for the immediate environment together with its history, it is my hope that The Droplet will promote much-needed discussion about this most unique element, water. 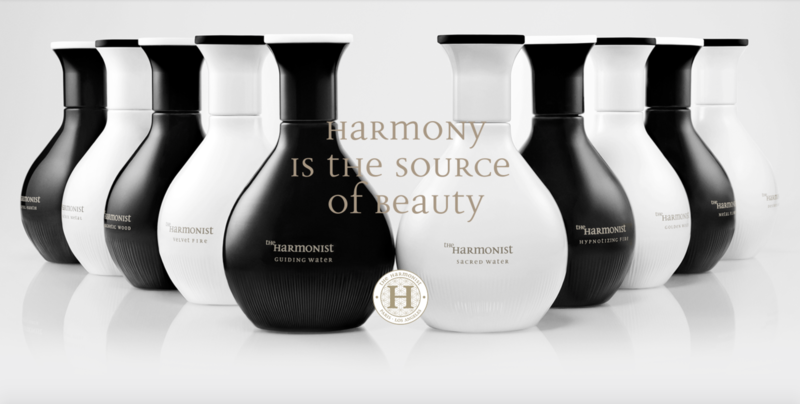 The Harmonist is a maison de parfums inspired by the ancient Chinese philosophy of creating inner and outer balance between the five fundamental elements: fire, water, wood, metal, earth. Ten signature scents carefully crafted by perfumer Guillaume Flavigny of Givaudan using pure, precious ingredients from around the world reflect and enhance the wearer’s own prevalent element, empowering the inner self and the body by bringing them into harmony with the external environment. With respect for the environment underpinning every nuance of our activities, from sourcing ingredients to packaging our products, The Harmonist is committed to sponsoring far-reaching philanthropic causes aimed at developing effective solutions to some of the most pressing problems affecting one or more of these fundamental elements which form the very basis of our existence. To highlight this, we are embarking on a ten-year art project showcasing various artists, each of whom takes an element as their muse. Water: the source of all life on our planet. 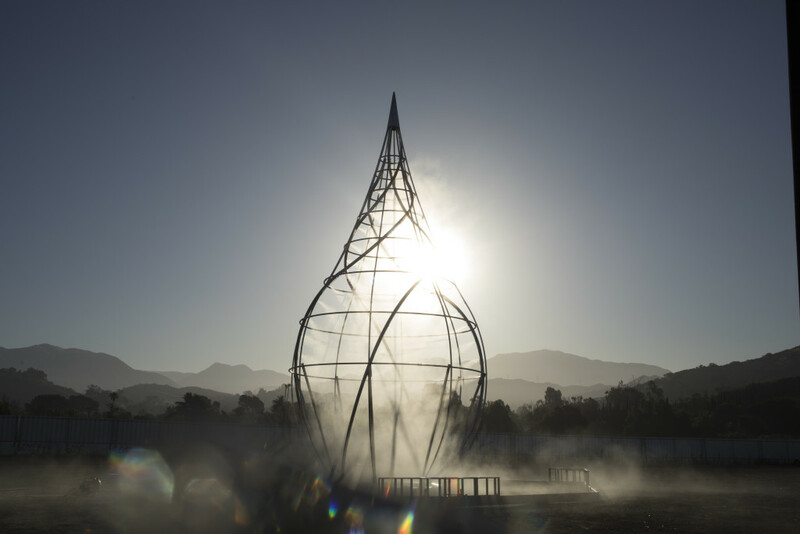 At The Harmonist, we share global concerns surrounding water scarcity and conservation, and it is with this in mind that we introduce The Droplet, the first installation in our ten-year art series. Born in 1978 in the Uzbek capital of Tashkent, Lola Karimova-Tillyaeva earned bachelor’s and master’s degrees in International Law from the University of World Economy and Diplomacy in Tashkent, going on to receive a doctorate degree in Psychology from Tashkent State University. An active philanthropist, Ms. Karimova-Tillyaeva heads three major charitable organizations in Uzbekistan and is renowned for her key role in promoting education and sports as well as championing the rights of orphaned children and children with disabilities in Uzbekistan. In her current role as Uzbekistan’s ambassador to UNESCO, Mrs. Karimova-Tillyaeva focuses primarily on promoting the time-honoured cultural heritage of Uzbekistan, with a view to advancing a better understanding and mutual respect between civilizations. Ms. Karimova-Tillyaeva is also the visionary behind The Harmonist, a maison de parfums inspired by the ancient Chinese philosophy of Feng Shui. Created by a well-known French perfumer using the finest natural ingredients from around the world, the sophisticated signature scents embody the five elements regarded as the building blocks of all natural phenomena – metal, fire, earth, water and wood. This ground-breaking initiative is an apt expression of Ms. Karimova-Tillyaeva’s keen awareness of environmental issues which has prompted her to support several charitable initiatives in this field. Lola Karimova-Tillyaeva is married to businessman Timur Tillyaev and together they have three children: two daughters and a son. 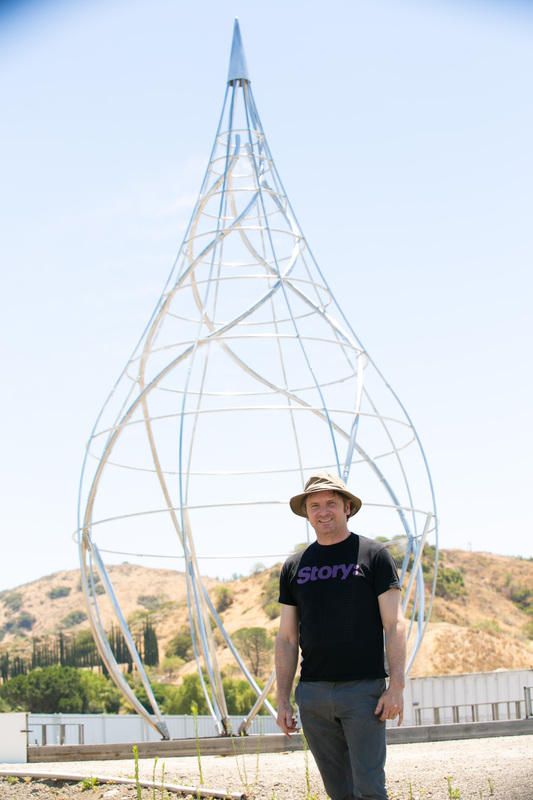 The artist behind The Droplet is Marcos Lutyens. 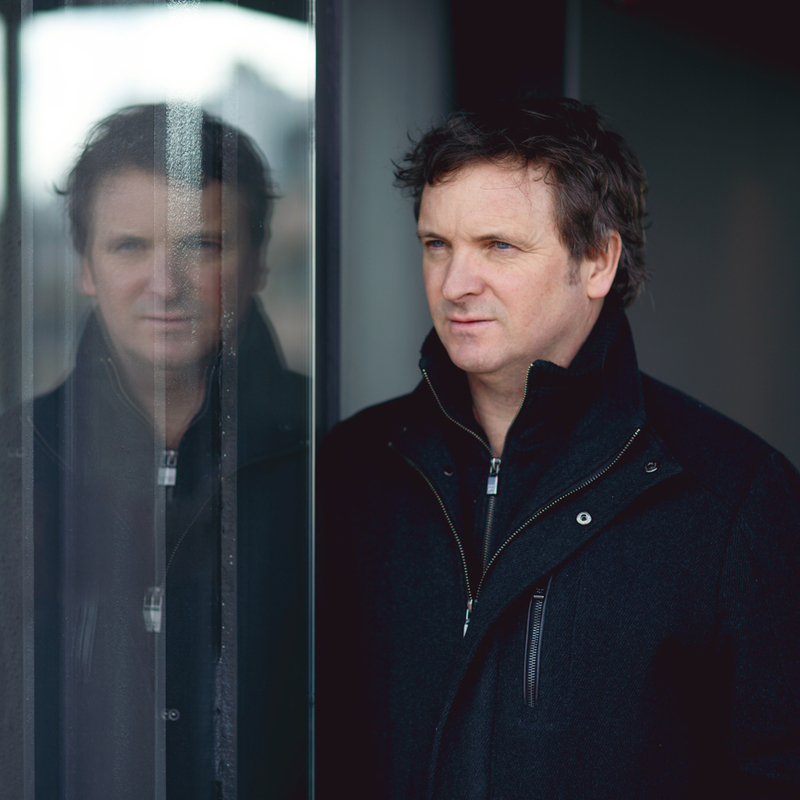 Lutyens’ work focusses on consciousness as it extends outwards into narratives relating to humanity, the environment and all living systems. 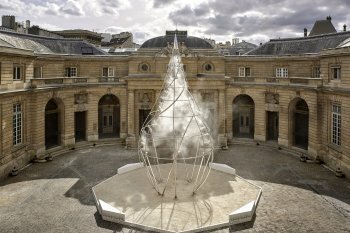 With an impressive list of international exhibitions to his name, Lutyens’ vision for this current project is to engage our emotive senses of smell, sound and touch as an integral part of The Droplet experience, to invite visitors to join an urgent conversation on climate change before it is too late.